Review Article: Health promotion and prevention of bowel disorders through toilet designs: A myth or reality? Now, lifestyle diseases are quite common globally. The risk factors of lifestyle diseases such as sedentary habits, lack of physical exercise, and lack of fiber result in the development of noncommunicable diseases. However, when the point of discussion slightly shifted toward toilet habits, it is always seems to be a secret affair. In fact, the discussion of defecation-related matter openly is considered a taboo. This is not uncommon even in medical fraternity. In fact, during the early 1980s, some researches on the association between the diarrhea prevalence, open-air defecation, and latrine use rate were documented. However, nobody acknowledges it socially desirable, now, to discuss defecation-related issues. The public health experts completely ignored the discussion of ill-effects of the use of pedestal latrine on human health. It is evident from scientific studies over a period, that many of the abdominal disorders of the human due change in his toilet habits from a squatting-to-sitting posture using a pedestal latrine. That disease correlation was ignored at that time. The increase in disease burden is due to nonmaintaining the ergonomic design during the construction of this kind of toilets. 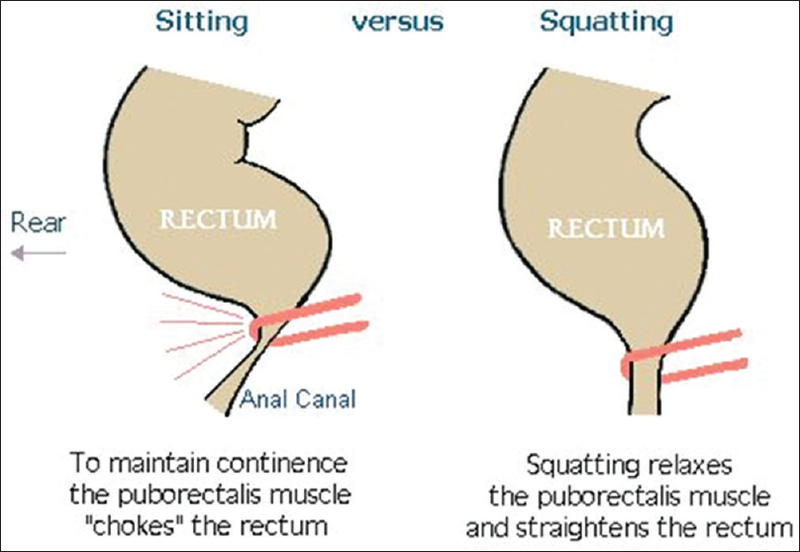 Squatting posture for the defecation is the most appropriate way, as in this case, abdominal muscles work actively and complete evacuation takes place. To conclude, the time has come to reacquaint people with their natural habits and put this unfortunate experiment to an end. 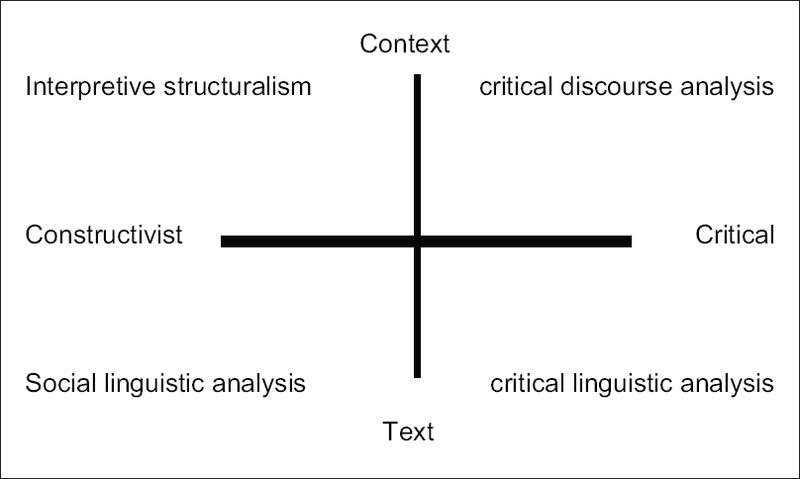 Discourse analysis (DA) is an interdisciplinary field of inquiry and becoming an increasingly popular research strategy for researchers in various disciplines which has been little employed by health-care researchers. The methodology involves a focus on the sociocultural and political context in which text and talk occur. DA adds a linguistic approach to an understanding of the relationship between language and ideology, exploring the way in which theories of reality and relations of power are encoded in such aspects as the syntax, style, and rhetorical devices used in texts. DA is a useful and productive qualitative methodology but has been underutilized within health-care system research. Without a clear understanding of discourse theory and DA it is difficult to comprehend important research findings and impossible to use DA as a research strategy. To redress this deficiency, in this article, represents an introduction to concepts of discourse and DA, DA history, Philosophical background, DA types and analysis strategy. Finally, we discuss how affect to the ideological dimension of such phenomena discourse in health-care system, health beliefs and intra-disciplinary relationship in health-care system. Introduction: Birth can cause and post-traumatic stresses in many women even when the occasion of birth results in alive baby. Fetal death can challenge her understanding of justice and God's love toward his creatures. Religious beliefs have a considerable effect on decreasing individuals' tendency toward bereavement; thus, it is expected to have a relationship with sorrow and mental distress ensuing fetal death. The present research has been conducted to review the existing literature on religion and fetal death and then study Iranian women and their families' response to such a tragedy. Materials and Methods: This is a unsystematic (narrative) review. Research was conducted to study the role of mothers' religious belief in their encounter with pregnancy loss in cases belonging to a 23-year period from 1990 to 2013. PubMed and Ovid databases and Iranian religious resources such as Tebyan were utilized for these studies. Of course, several articles were also derived by means of manual search. Results: Nine out of 31 papers had the searched keywords in common in the preliminary search. A review of the existing papers indicated that only 4 out of 22 papers dealt exactly with the role of religion on reaction of parents to fetal death. 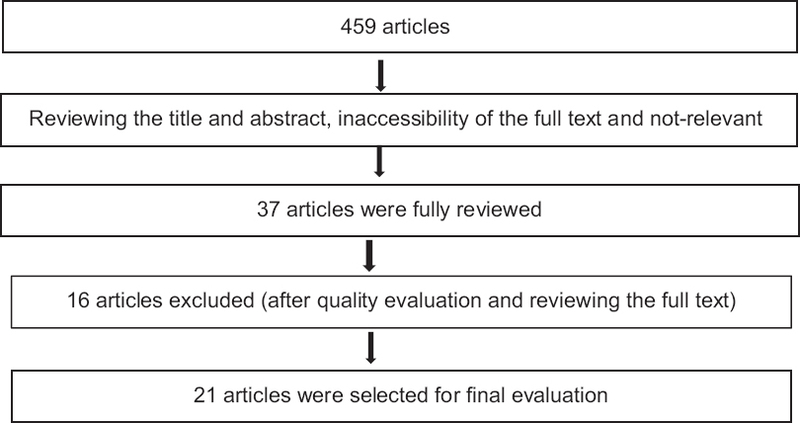 The four papers belonged to the years 2008, 2010, 2011, and 2012 indicating the new approach to religion in pregnancy loss cases. Conclusion: Religion has a significant effect on parents' acceptance of such mishaps and it may have a considerable effect on their recovery from such tragic events.